What do you do after birthing the hugely successful Boreal Shirt? You backtrack a bit, and make it a little more urbane. 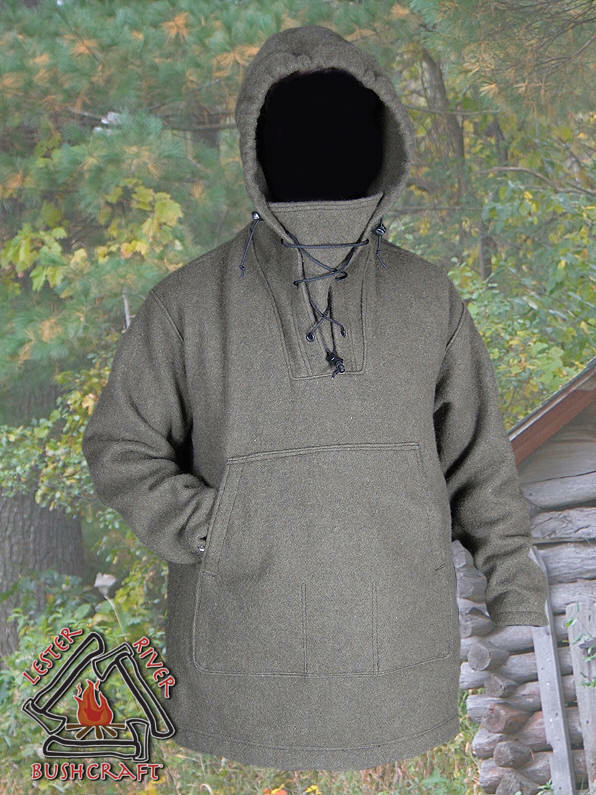 No hood, straight waisted (except Small- that still has a Bell shape), more suave. Our Scout Shirt bridges the gap between the traditional and the modern. We picture it under a synthetic shell, astride a bar stool in a lodge, or next to a camp fire in September. 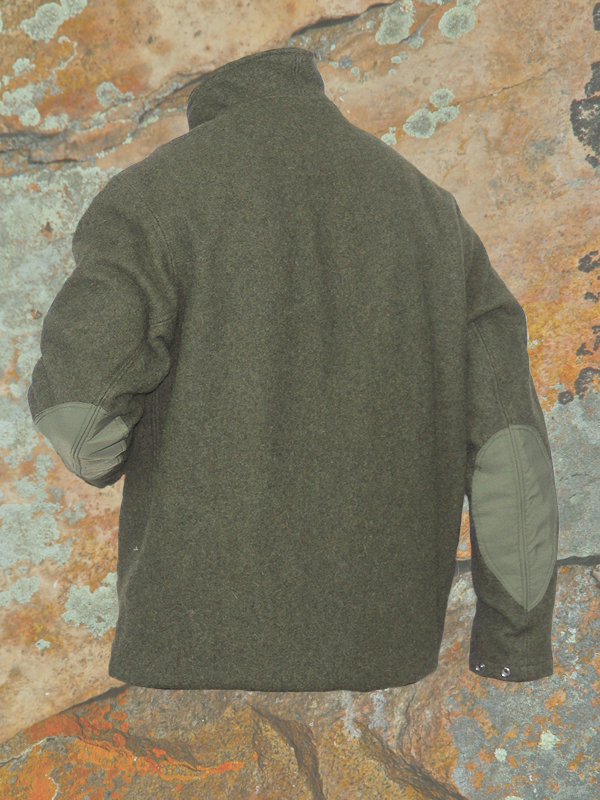 To keep it nimble, we stitched all the seams flat, made the pocket smaller, and installed a low profile zippered collar with a light fleece lining. Like the Boreal, the front pocket is perfect for warming your hands. You’ll still find two D rings anchored to a double-layer zippered security pocket to protect your electronics or shield you from your rattling EDC gear. The pocket layer hides a pair of stash pouches for gathering rocks, or holding errant nuts and bolts. The wrists seal shut with stainless snaps anchored in webbing. The hip-length hem has a sleek Supplex Nylon draw cord tunnel with shock cord. Tug the ends, and it wraps around your bottom. 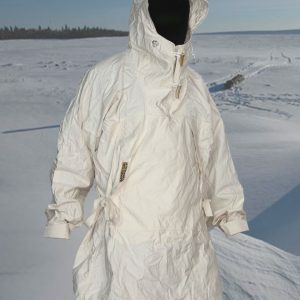 Roll it up to shorten the length while wading or wearing a harness. We’ve even reinforced the elbows! 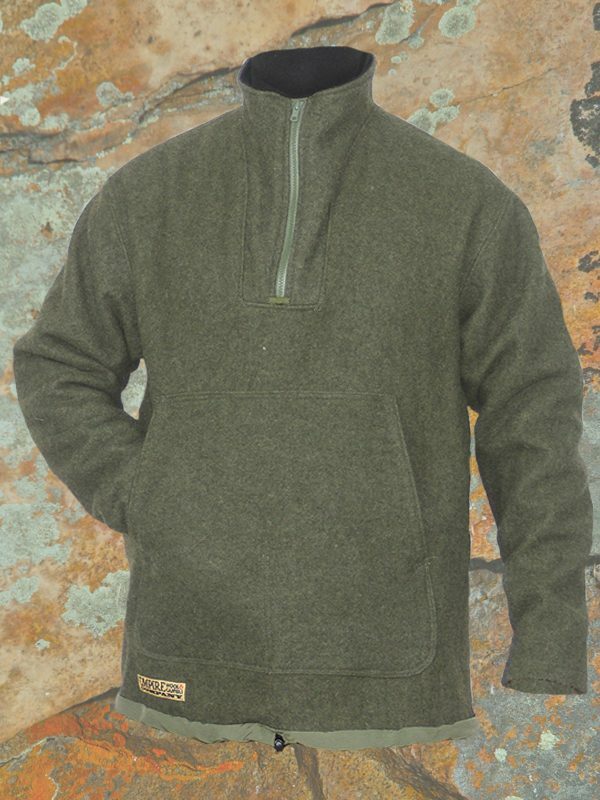 Fabric: Domestic 100% wool and recycled polyester fleece. Nylon trim. 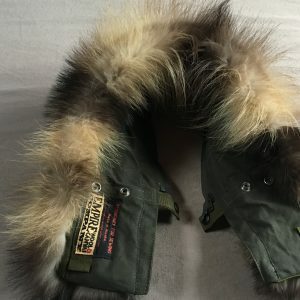 Colors: Olive Green, Sizes SM-XL. Washing: Hand wash or machine wash cold, gentle cycle, front loading machine only. No bleach. Spin dry to remove moisture, then hang dry in a warm spot. you can dry clean our garments, but it’s icky. You will see lint, it’s expected. We’ve pre-washed everything to shrink it as much as possible, but a little extra caution goes a long way. 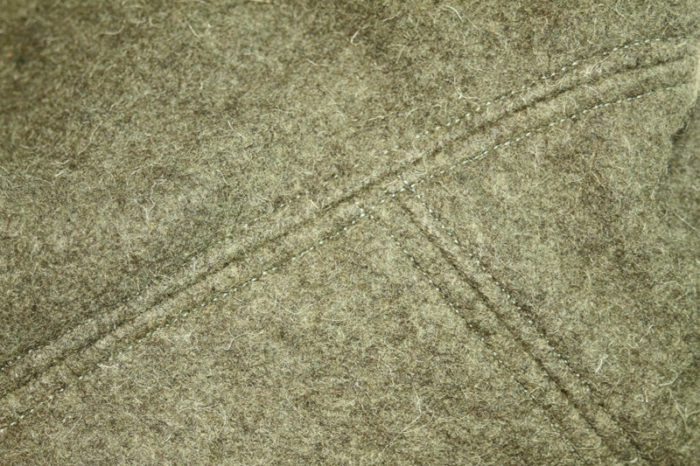 Our wool may be somewhat stabilized, but the nylon thread, webbing, and trim will shrink a bit if they get too hot. 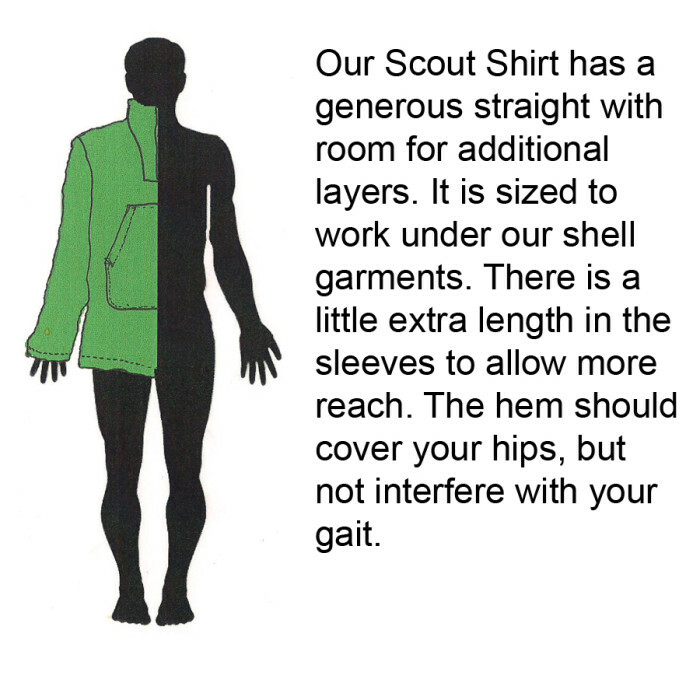 *The Scout Shirt is occasionally available in Multi Tone Olive. (MTO). 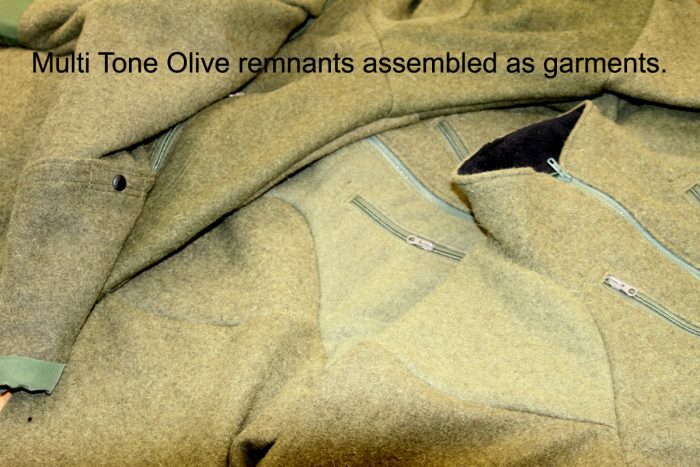 Our wool garments come from USGI Olive Green blankets. Though we try to cut them as efficiently as possible, they offer up piles of remnants. Rather than let these go to waste, we use these various shades of #7 OD green fabric in concert to create unique (and slightly less expensive) garments. No two are alike.